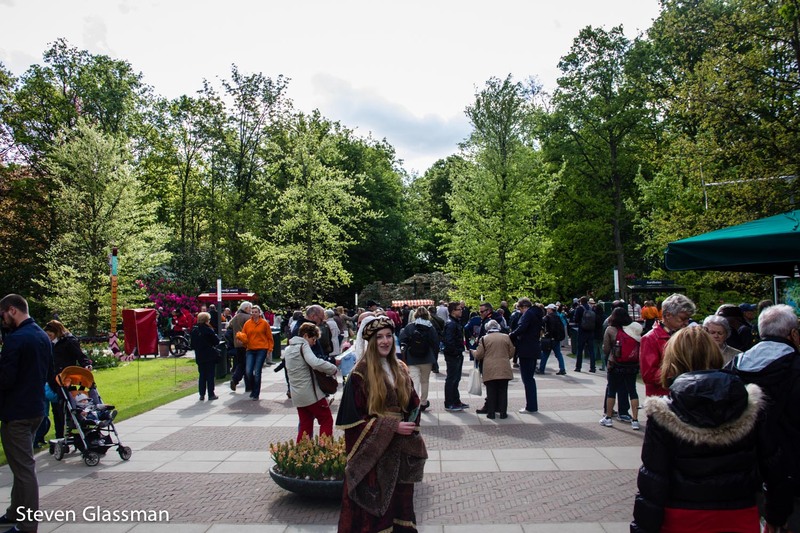 Keukenhof, Part One: The Park – Sunshine. Whimsy. Tacos. 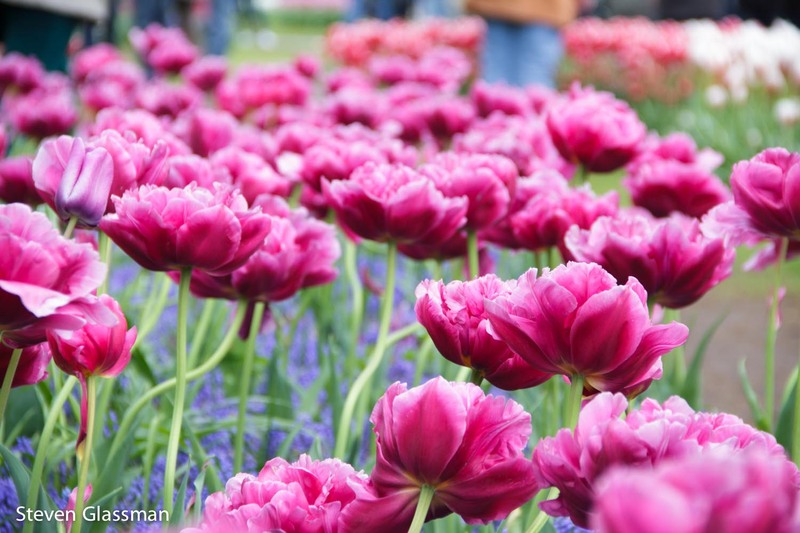 The Tulip Festival in Holland has long been a big item on my Geographic To-Do list. 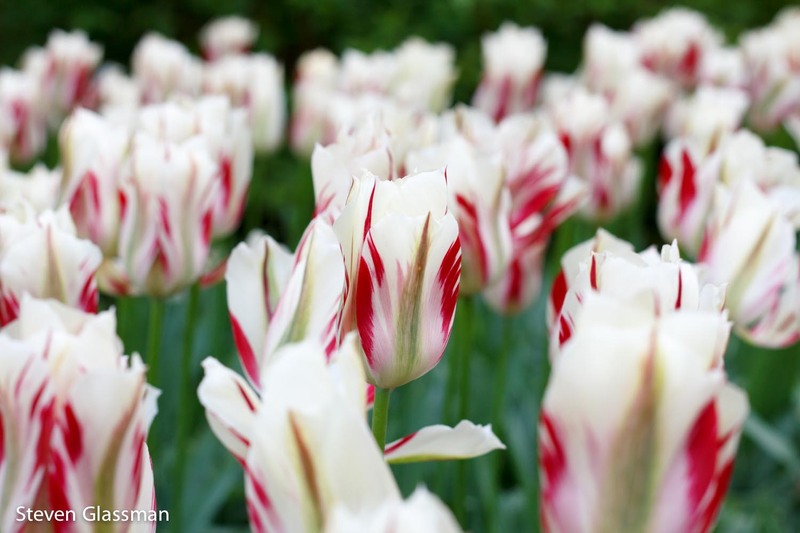 Jenny also wanted to see the Tulips, so on the first Friday in May, we all piled into Robert’s car and headed up to Keukenhof, about thirty-five kilometers from Amsterdam. 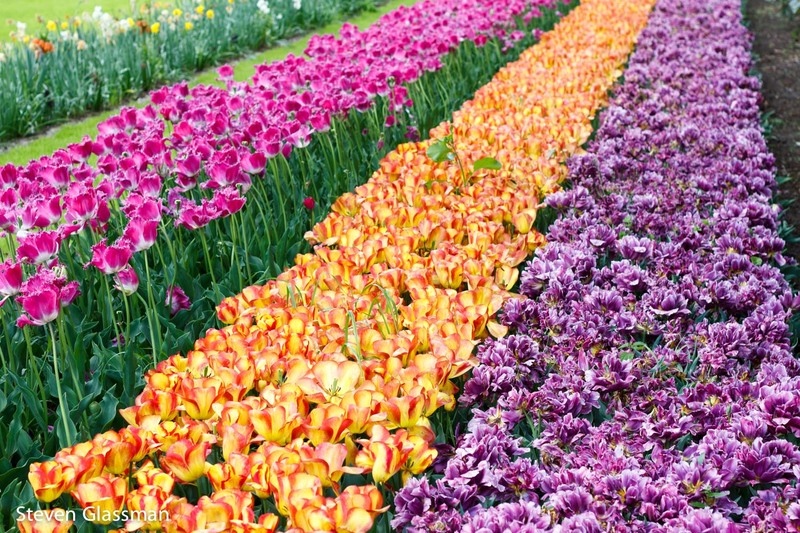 Keukenhof is the world’s second largest flower garden, only exceeded by Dubai Miracle Garden. 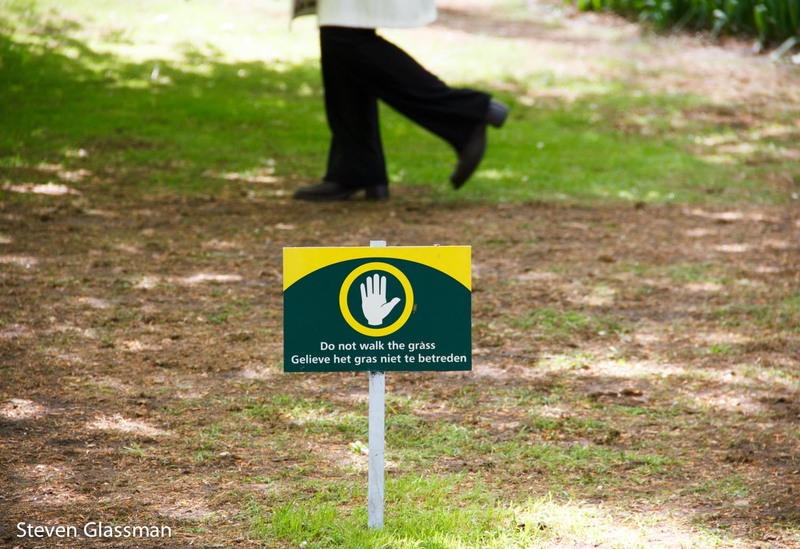 The park is only open for about eight weeks each year, typically from mid-March to late May. 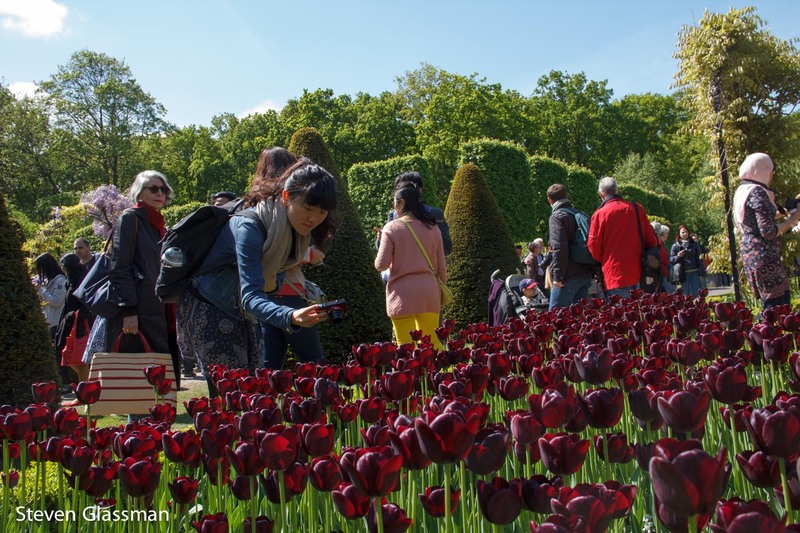 During those eight weeks, Keukenhof sees around 800,000 visitors. When we arrived, we were greeted by staff members handing out maps in traditional dresses. At least I think these are traditional dresses. 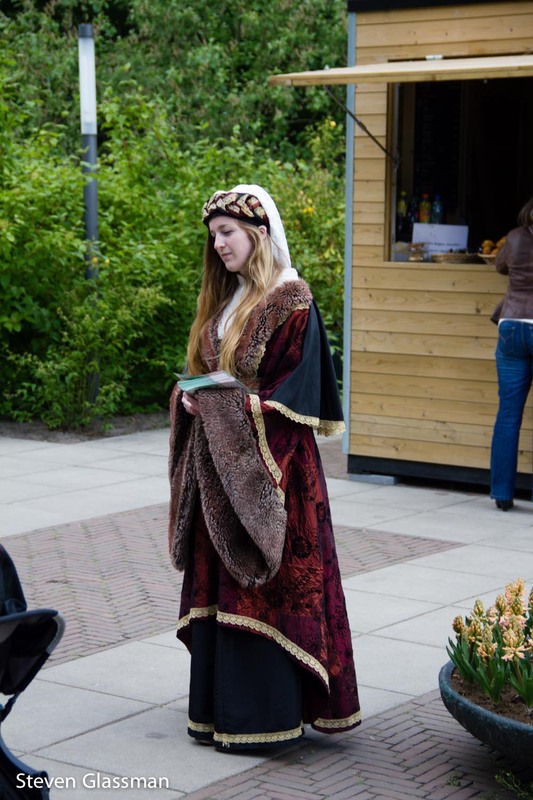 When I tried to research “traditional Dutch dresses,” I kept finding lots of things with pointy hats. This girl is definitely not wearing a pointy hat. 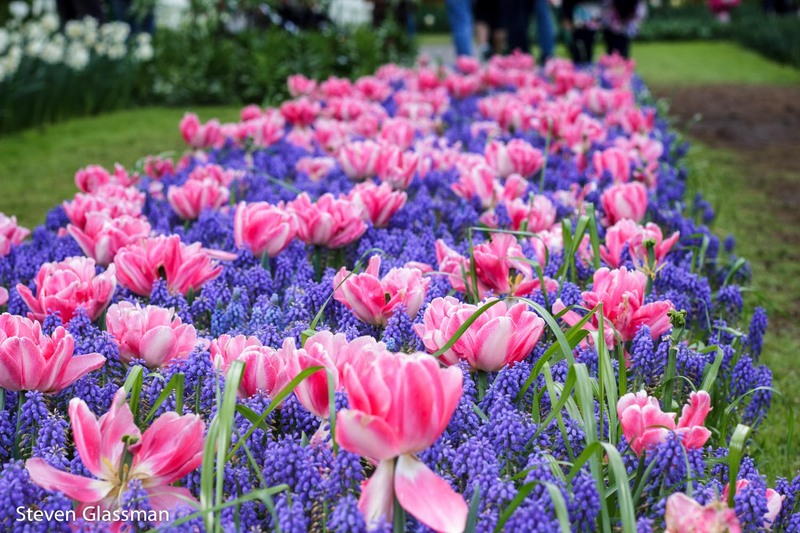 I don’t really have too much to say about the flowers in Keukenhof. I took a tremendous amount of pictures, but I’ll try not to overwhelm you with flowers. Needless to say, it was really colorful. 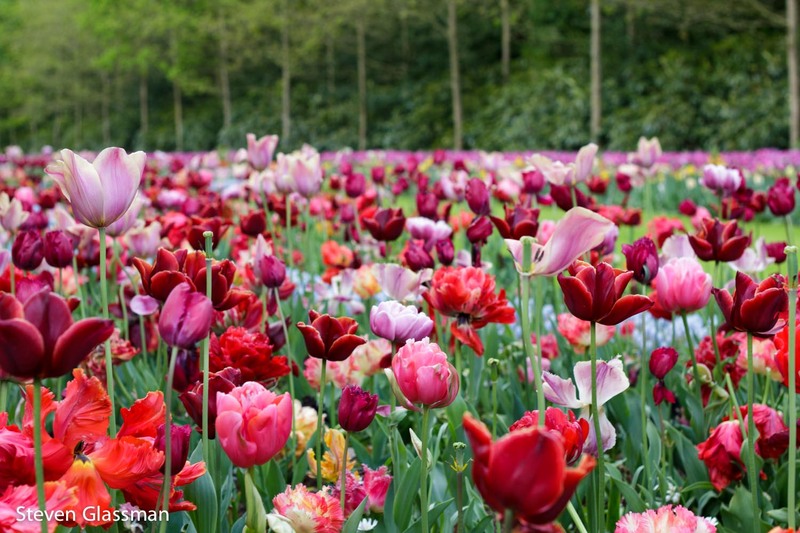 We arrived a week or two too late to see the giant colorful fields of tulips that we were hoping for. 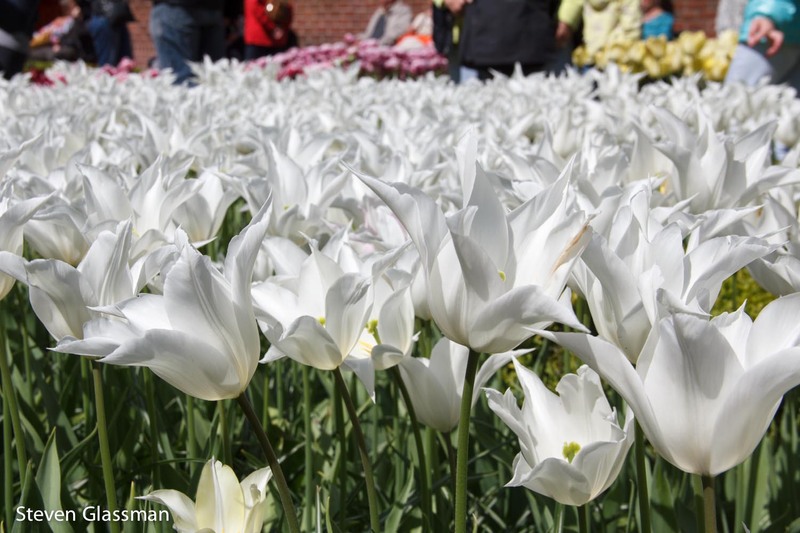 Warmer weather broke early this year, and we couldn’t visit in time to see the best blooms. That poor timing didn’t make the flowers we did see any less spectacular, though. 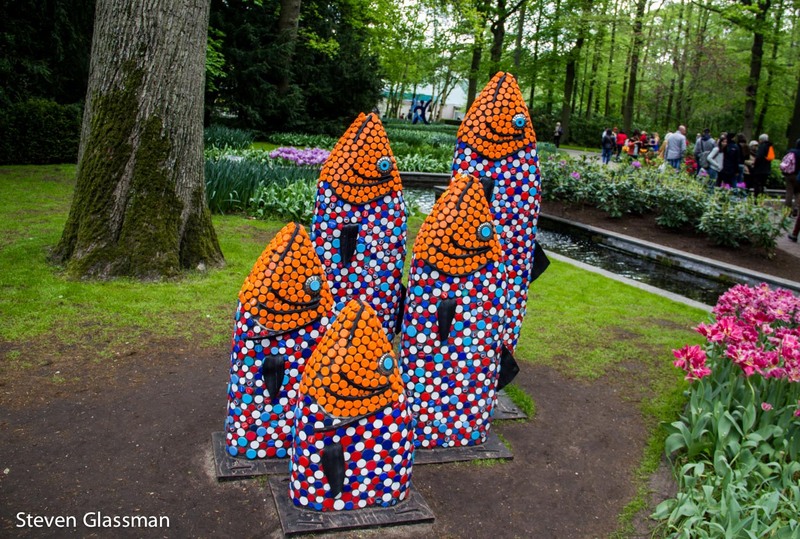 And, for some odd reason, weird sculpted fish. 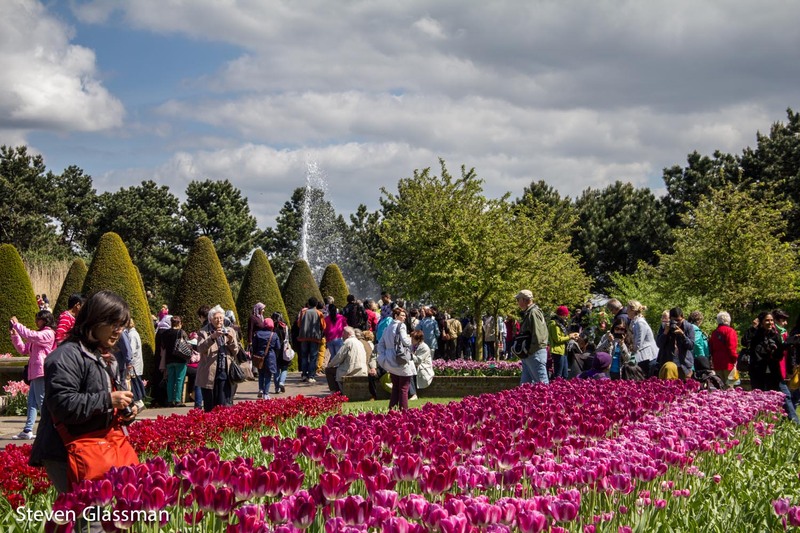 Flowers and people, as far as the eye can see! Some of the people had very little courtesy. 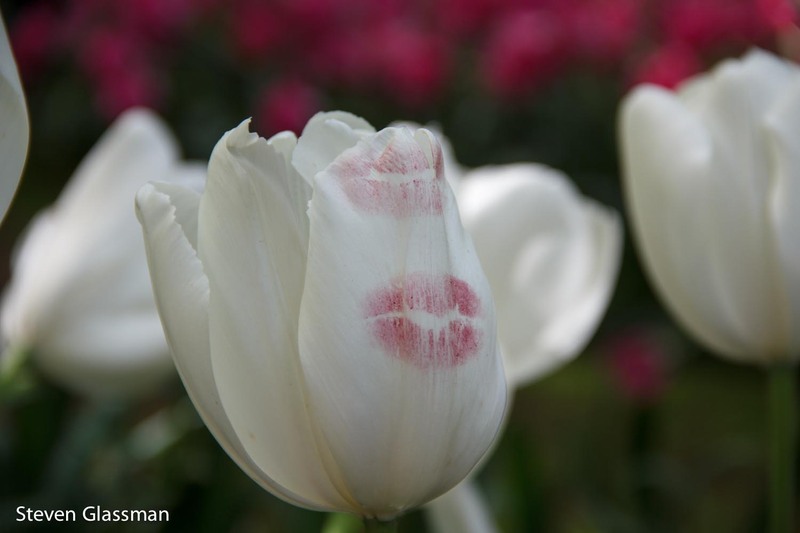 They tromped through other people’s pictures, and in some cases damaged the flowers themselves. These signs? Yeah, they were completely useless. I did my best to stay off the grass most of the time, because they gave us paved walkways that went right up to giant banks of flowers. 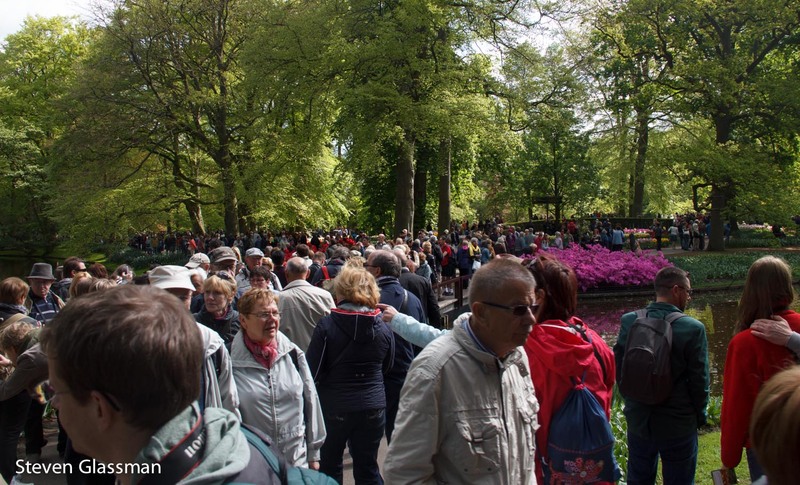 By lunchtime, this is what the Keukenhof crowd levels looked like. This is some sort of art-deco tree. I have no further comment. 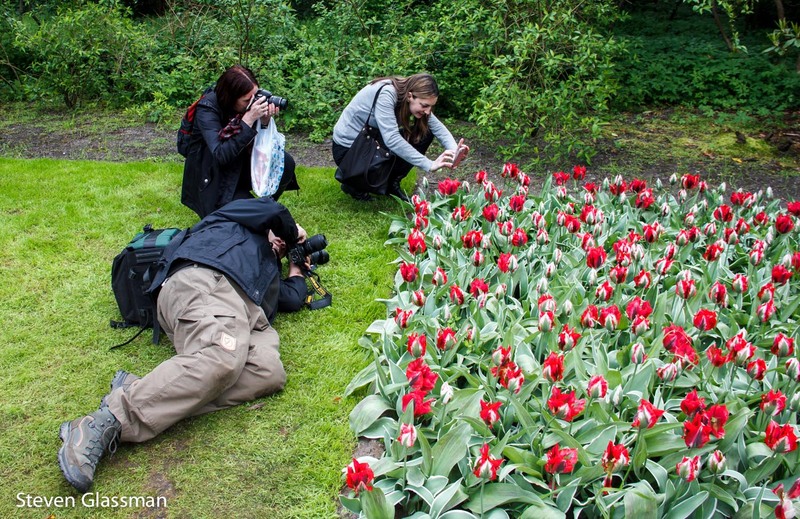 Some people didn’t think the flowers were pretty enough as-is, and made their own versions. 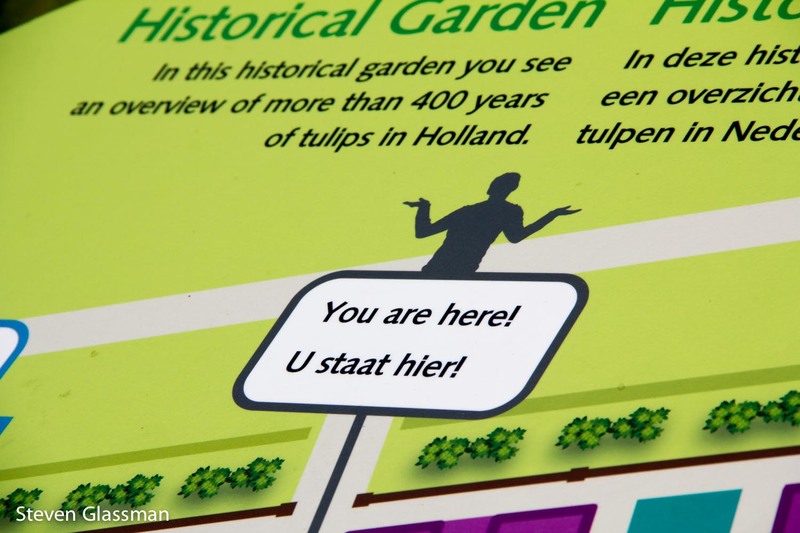 There were some indoor exhibits about the history of the tulip, the planting methods used by Keukenhof, and so forth. 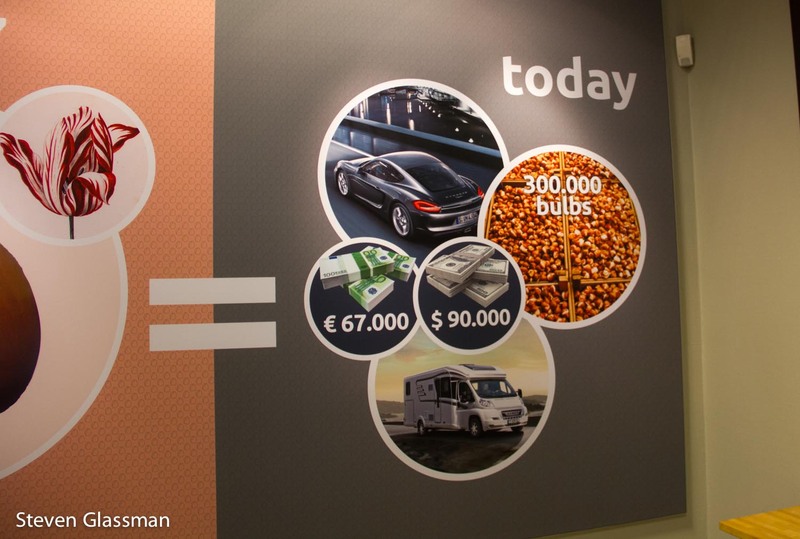 I thought this illustration of the worth of tulips was interesting. I liked these white ones quite a lot. 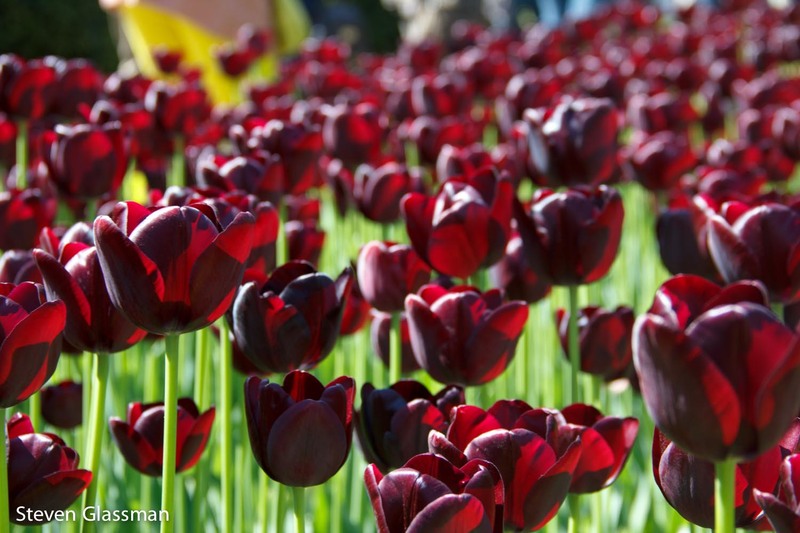 And also these dark red ones. This picture and the one before it are taken from the exact same place. This one just shows you all the crowds walking through it as well. 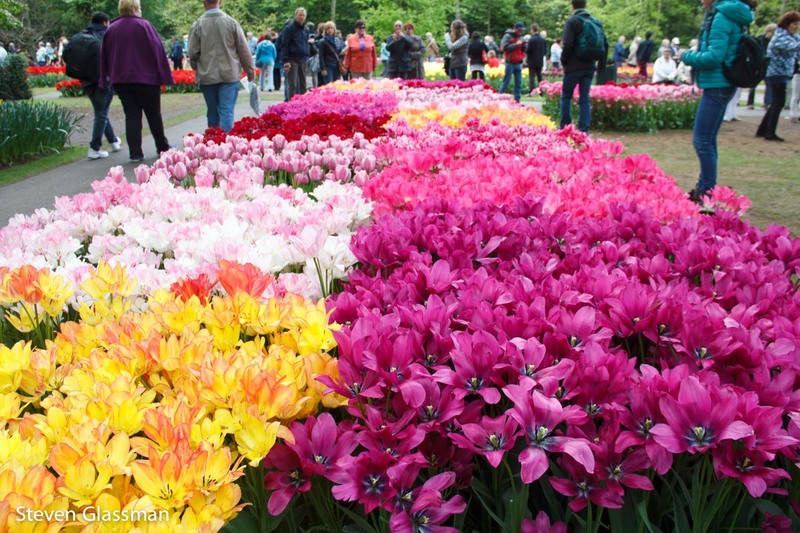 Keukenhof is broken into sections. 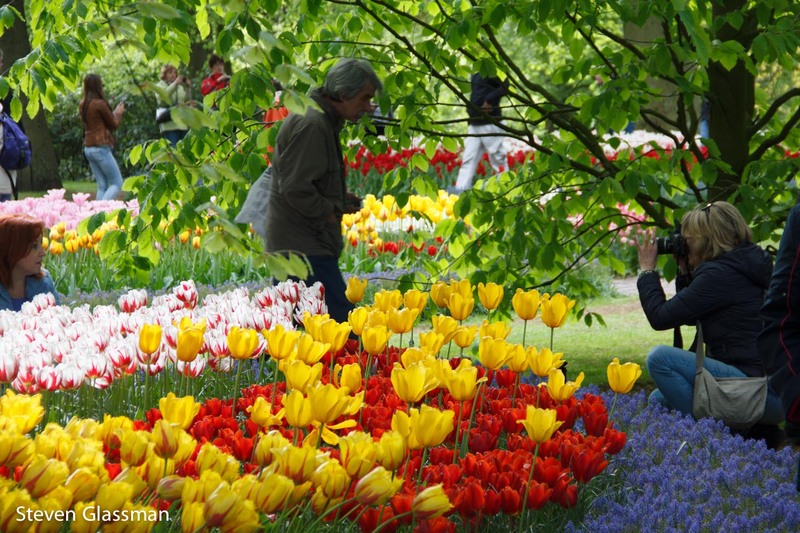 There’s a historical garden, an English garden, an Asian garden, and so forth. 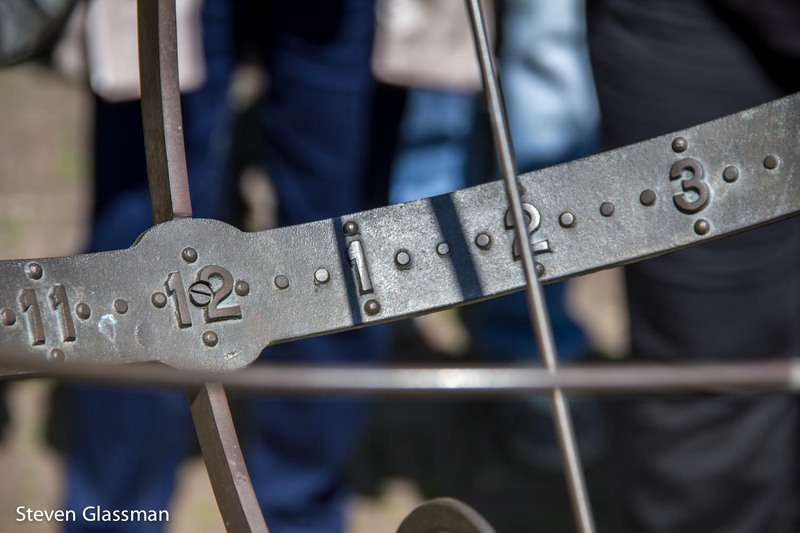 One area of the historical garden has a sun-dial. It was actually quite accurate. 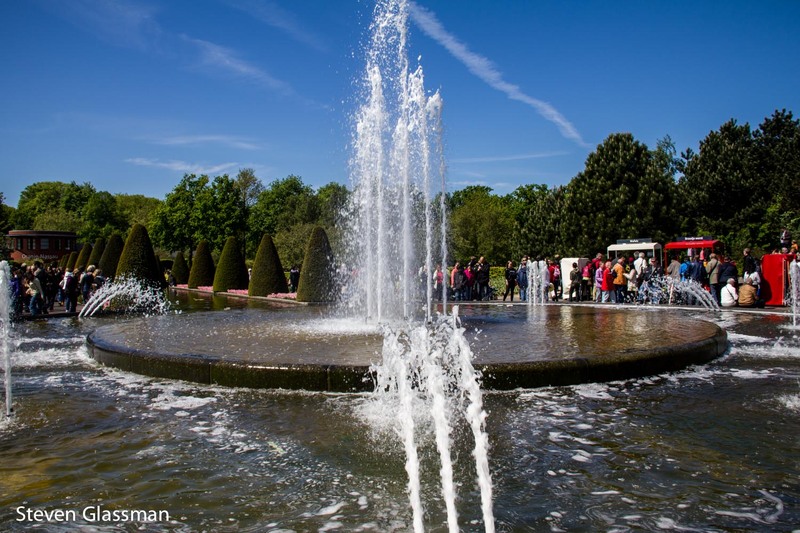 There were several picturesque fountains around the park. 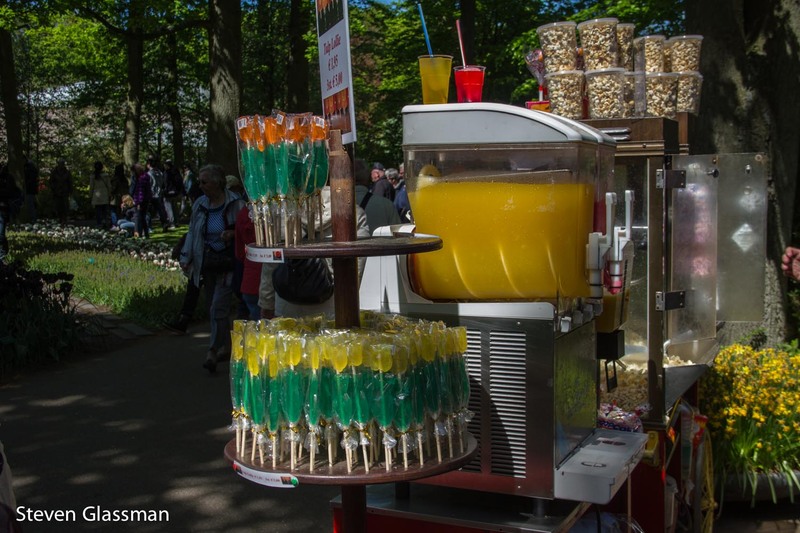 The carts you see on the opposite of this fountain? Waffles and hot dogs, basically. The waffle was delicious. Giant windmill you can climb? Check! I skipped this one because of the crowds. 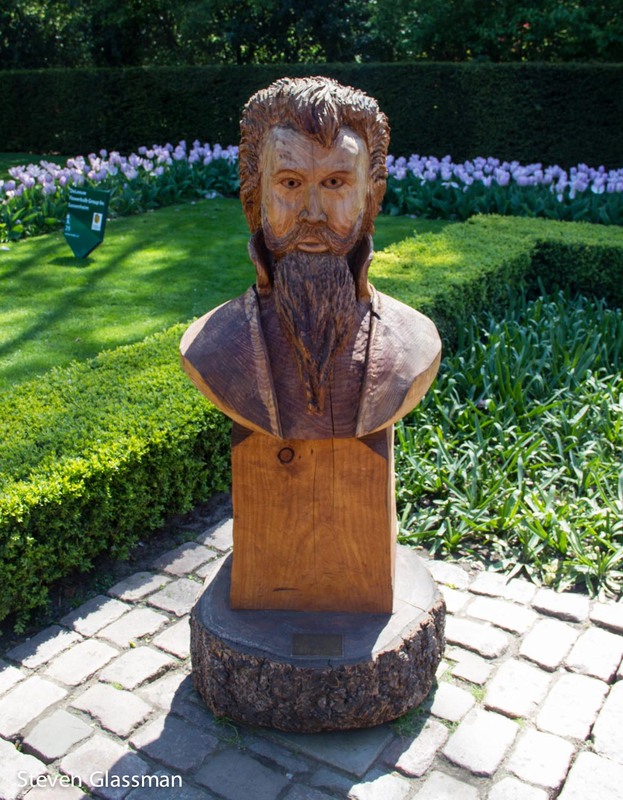 On our way out, we passed some wooden busts of composers that I thought were nifty. 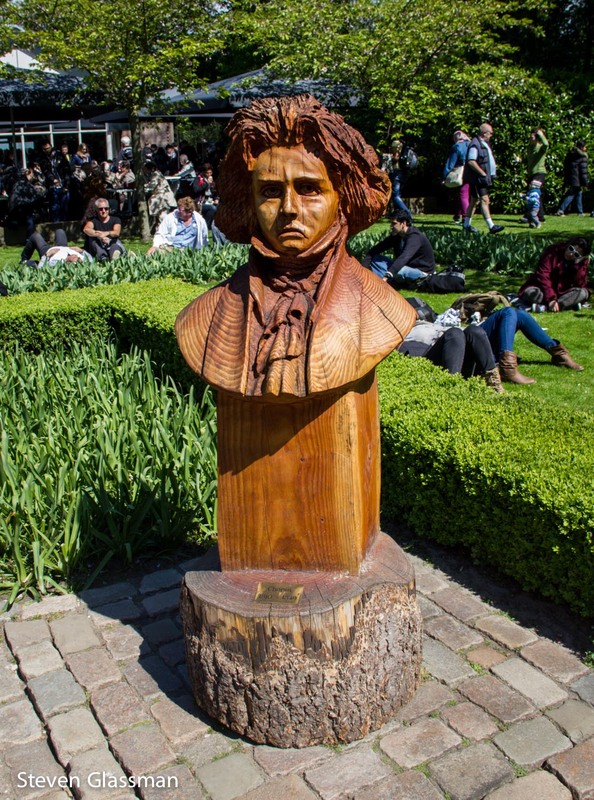 This one is Chopin. This one is Brahms. Insert your own Brahms Lullaby/”sawing logs” joke here. 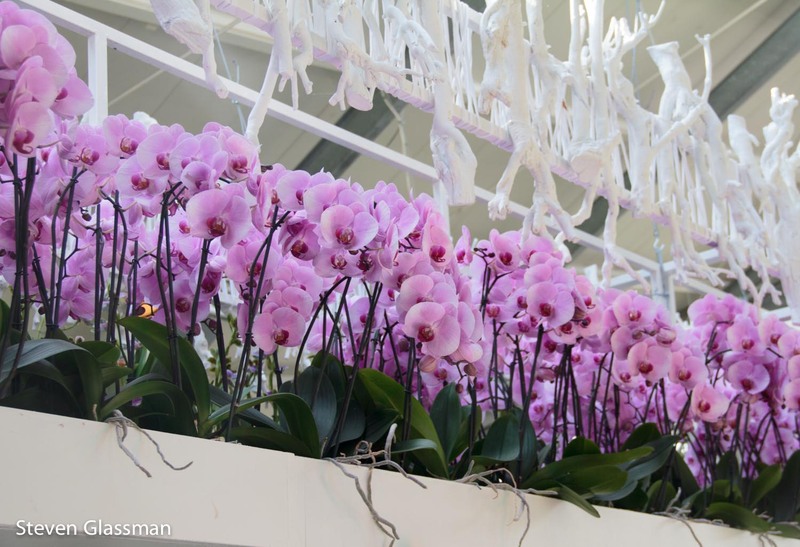 And last but not least: Orchids! 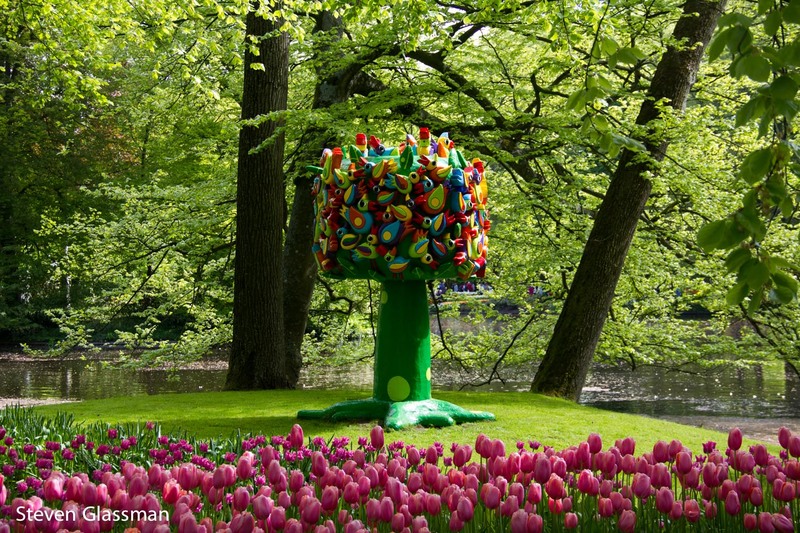 Have you ever been to Keukenhof for the yearly Tulip Festival? SO many people! I’m not sure I’d cope well with the crowds. But you got some amazing photos there despite it! This is definitely on the list. I knew there’d be a lot of people there but DANNNGG that’s a crowd. Very kewl! Would have loved to go. .. Thanks for sharing the photos! I like the photo of the people on the floor. 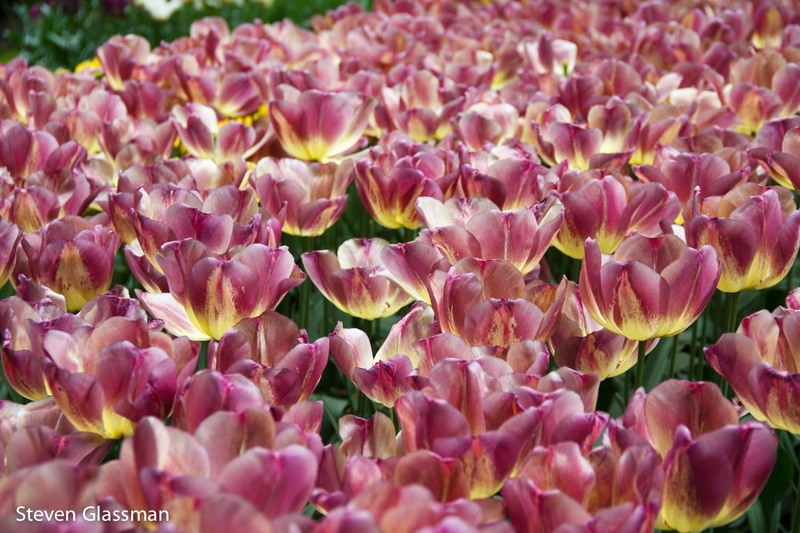 It answers the “hey, how’d you get such great close ups of the tulips?” question. 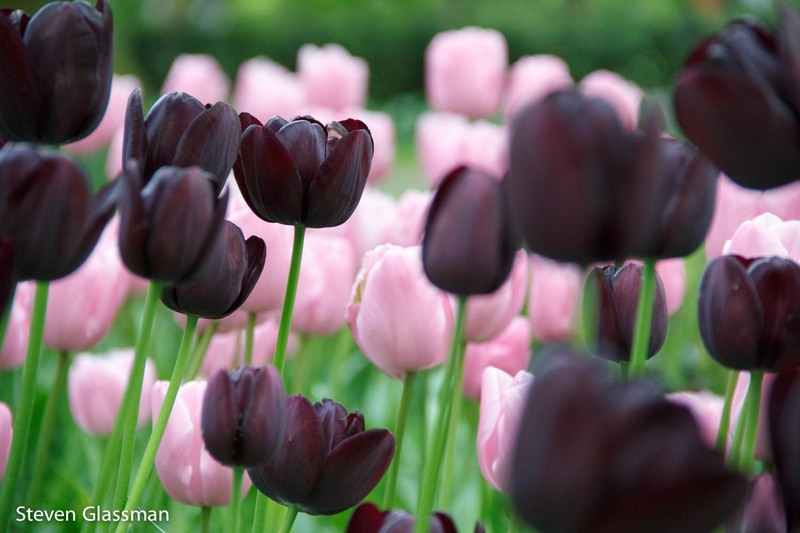 The photos of the dark colored tulips are wonderful. I’ve never seen any like those. I like that photo of the people on the floor too. 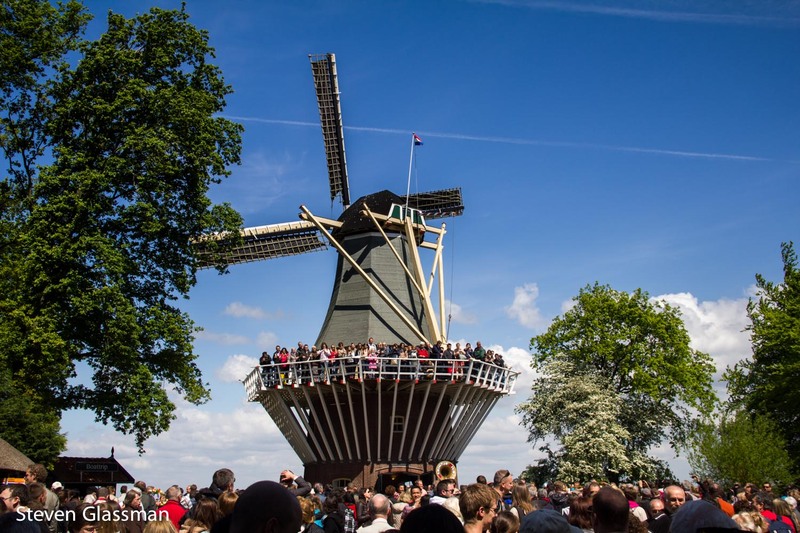 Actually, I like all of the photos, although I’m a bit nervous about all the people packed onto that windmill. It looks like one of the railings could fall off at any moment.